Both sexes fully winged. 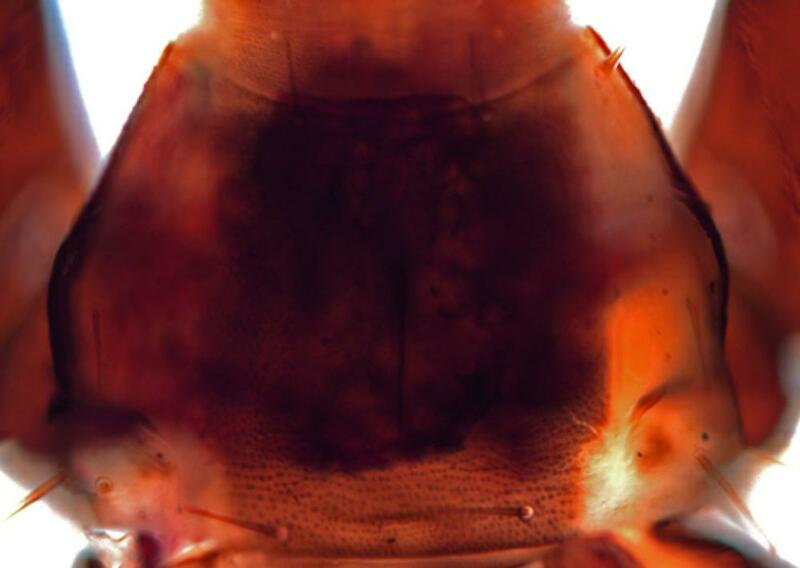 Body dark brown, with chalky-white band laterally from posterior margin of eye to abdominal tergite VIII; antennal segments uniformly dark; fore wing pale with darker line medially. 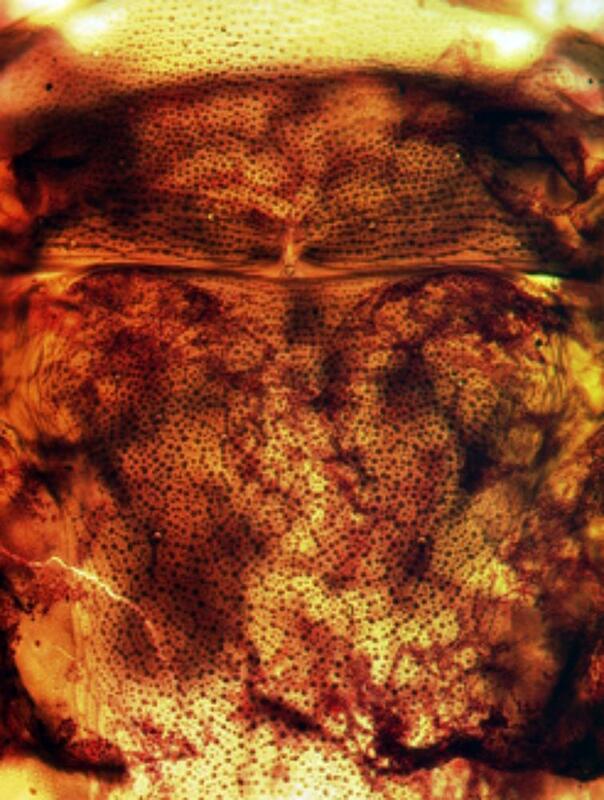 Head longer than wide; cheeks without prominent bristle-bearing warts; eyes large; maxillary stylets long and close together medially; postocular setae long and pointed; mouth cone extending across prosternum. Antennae 8-segmented; segments III–VI constricted to apical neck; III–IV with 3 stout sensoria. Pronotum reticulate, 2 pairs of epimeral setae present; basantra absent. Fore tarsus with prominent tooth; fore femora with sub-apical tubercle on inner margin. Fore wings weakly constricted medially, granulate between sub-basal seta III and median constriction. Pelta reticulate; tergite IX setae long and pointed. Male sternite VIII with median transverse pore plate; tergite IX setae similar to those of female. 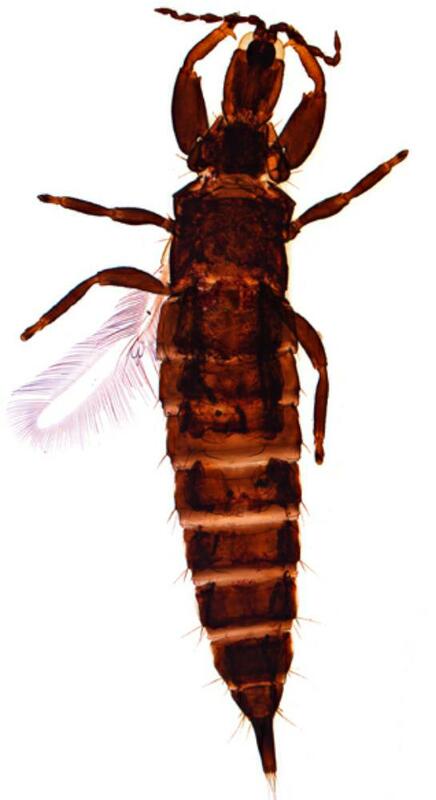 The genus Acanthothrips includes 13 species, of which one is Holarctic, one is from northern Europe, five are known only from North America, and six are from the Neotropics including Mexico. 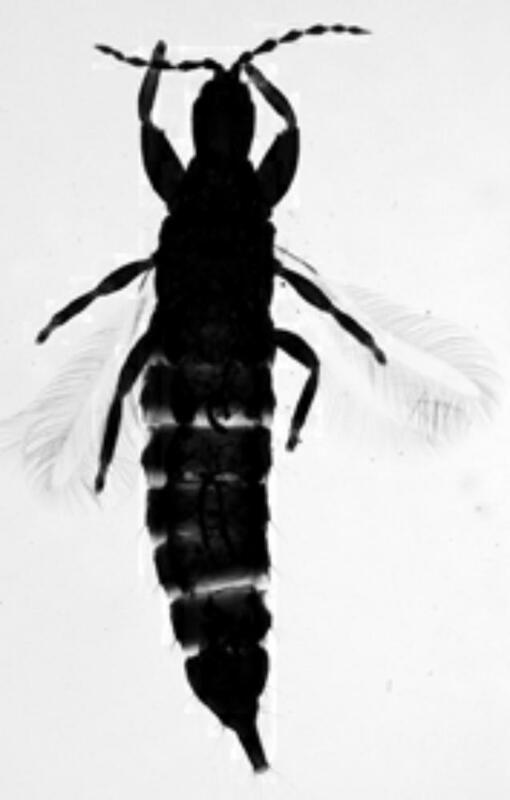 Priesner (1964) distinguished this genus from the wordwide genus Hoplandrothrips on the basis that the fore wings are parallel sided. 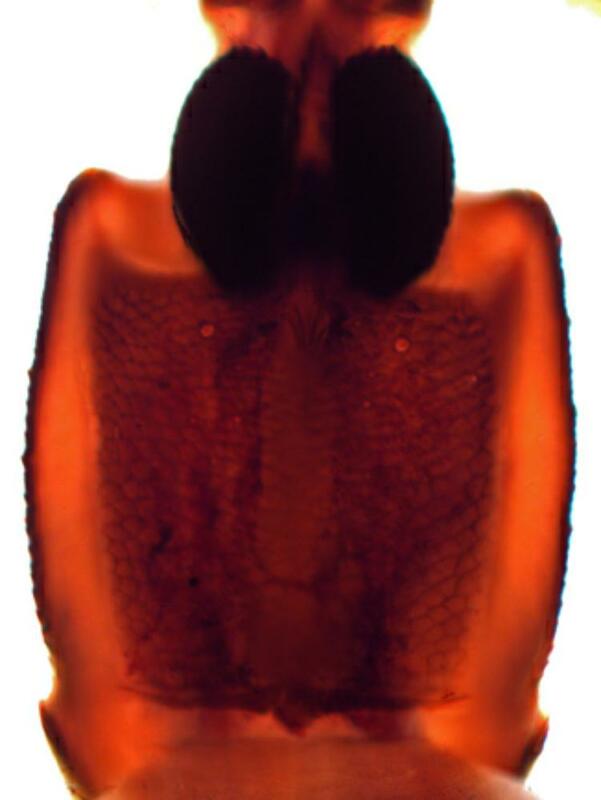 Although this is true of A. nodicornis, the fore wings of A. albivittatus and A. argentifer are constricted medially at least as much as in some species of Hoplandrothrips. 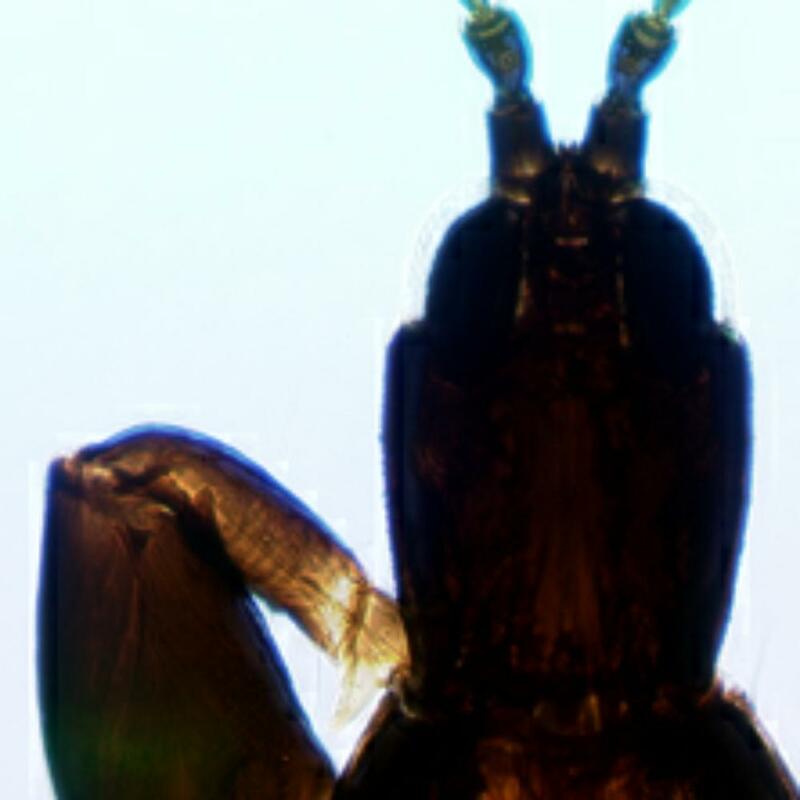 The antennae of A. albivittatus are uniformly dark, whereas the median antennal segments are largely yellow in the other two species recorded from California.